Hasain Warekar who killed 14 members of his family before killing himself had planned the murders in detail, reports The Indian Express. Hasnain apparently murdered his parents, wife and children, as well as his sister and their children before hanging himself at the Warekar family home in Thane in the early hours of Sunday morning. A preliminary investigation by the Thane police has learned that Hasnain had invited his three married sisters and their children to a family dinner, but had specifically excluded their husbands. The investigation also discovered that Hasnain had been accused of sedating members of his family in the past. "This was highly unusual. Hasnain has hosted several daawats before, but this time he clearly separated the men from their wives," said Ayaz Warekar, Hasnain's maternal uncle. Ayaz had also been invited to the family dinner on Sunday, intended to celebrate Hasnain's older daughter's birthday. Another uncle, Mujeeb Warekar, said Hasnain had been specific in excluding his sisters' husbands from the celebration. "Usually it is difficult to get all the sisters and their spouses together, so one or the other couple visits used to miss the dawaats he used to host. However, this time he ensured that all the sisters visited sans their spouses. He did invite the brothers-in-law, but specifically told them to come on Sunday as a separate daawat was planned for them," said Mujeeb. Hasnain was so keen on the attendance of all his sisters that when one of them, Sabina, said she would not go, he persuaded her and even offered her the fare for an autorickshaw. The murders appear to have been planned, said VB Chandanshive, Zonal Deputy Commissioner of Police, Thane. "The nylon rope that Hasnain hung himself with was new, and it seemed as if it was recently purchased. We are probing where it could have been purchased from," he said. 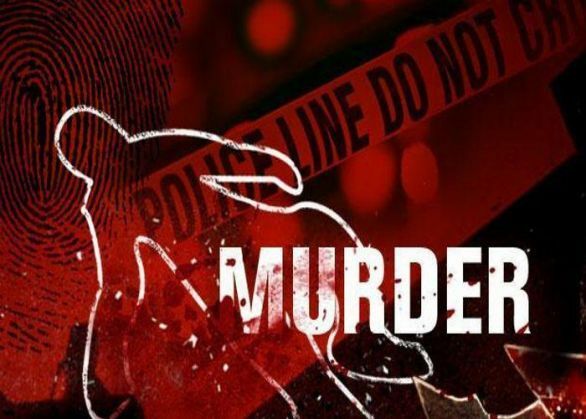 "Prima facie investigations suggest that the accused had bolted all the doors of the house and murdered his family while they were asleep with a knife we found near his body. Even the windows were all shut," said Joint Commissioner of Police Ashok Dumbare. Anis Baharanal, a relative of the Warekars, told the police that Hasnain had once 'sedated' his family by giving them a solution he had got from a baba. "They consumed the drink after dinner and woke up the following afternoon. We panicked when they missed the morning prayers," he said. The family was hospitalised when they regained consciousness. In the light of this information, the police have sent samples of food and the victims' viscera for forensic examination.